*NEW! * The Triathlete’s Training Bible, 3rd Ed. The Triathlete’s Training Bible, 3rd Ed. The Triathlete’s Training Bible is the bestselling and most comprehensive reference available to triathletes. Based on Joe Friel’s proven, science-based methodology and his 28 years of coaching experience, The Triathlete’s Training Bible has equipped hundreds of thousands of triathletes for success in the sport. The Triathlete’s Training Bible equips triathletes of all abilities with every detail they must consider when planning a season, lining up a week of workouts, or preparing for race day. Joe Friel’s Training Bible Coaching company is one of the most respected and successful in endurance sports. Joe has been training endurance athletes since 1980, including national champions, world championship contenders, and Olympic athletes in road cycling, mountain biking, triathlon, and duathlon. 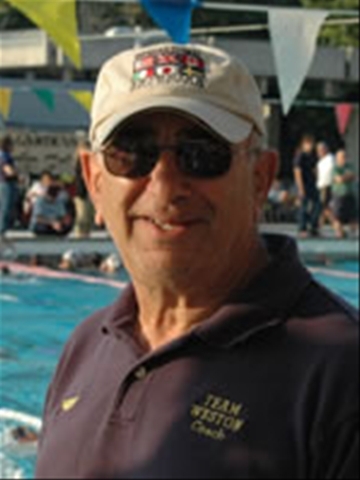 Joe is an elite certified USA Triathlon and USA Cycling Coach and holds a master’s degree in exercise science. Joe is a featured columnist for VeloNews and Inside Triathlon magazines and his articles and interviews appear in dozens of national and international magazines, newspapers, and websites. Joe conducts training and racing seminars around the world and online and provides consulting services for corporations in the fitness industry. He has also been active in business as the founder of Ultrafit, an association of coaching businesses, Training Peaks, a web-based software company, and Training Bible Coaching. He lives in Scottsdale, Arizona. More information on Joe is available at TrainingBible.com and at his blog. I am happy to announce the release of the Triathlon Coach Certification from ITCA (International Triathlon Coaching Association). ITCA is the triathlon coaching certification division of NESTA (National Exercise and Sports Trainers Association). NESTA was established in 1992 to provide fitness professionals with education, certification and business development tools. Since that time, NESTA has educated thousands of fitness trainers in over 45 countries. The International Triathlon Coaching Association is committed to providing the best possible education, triathlon coaching techniques, and triathlon coach business models. Our comprehensive triathlon coaching program covers triathlon swimming, triathlon cycling, triathlon running, triathlon gear, and triathlon nutrition. In addition, you will also learn exercise science, biomechanics, kinesiology, injury prevention, program design, race preparation, bike fit and so much more. This triathlon coaching program has it all. The International Triathlon Coaching Association will teach you how to design training programs for beginner, novice, age group, masters and elite triathletes. Our exceptionally comprehensive triathlon coach certification program covers all training aspects of sprint, Olympic, half Ironman and full Ironman triathlons. ITCA has partnered with Polar, the world’s leader in heart rate monitor technology, to provide you with the most advanced technology for your career as a certified triathlon coach. You will learn easy-to-use heart rate monitor technology, which makes you a better coach. We also show you how to make big money using this technology to train one to 100 clients per month. As a triathlete, you live your sport. You want to make a strong income as a triathlon coach. Well, you are in luck. The International Triathlon Coaching Association provides you with a complete business system, not just a certification. You get it all – comprehensive education, a professional certification and a business model which provides you with tools to make well over $100,000 per year as a triathlon coach. You can get started today! Visit http://www.triathloncoachcertification.com now!